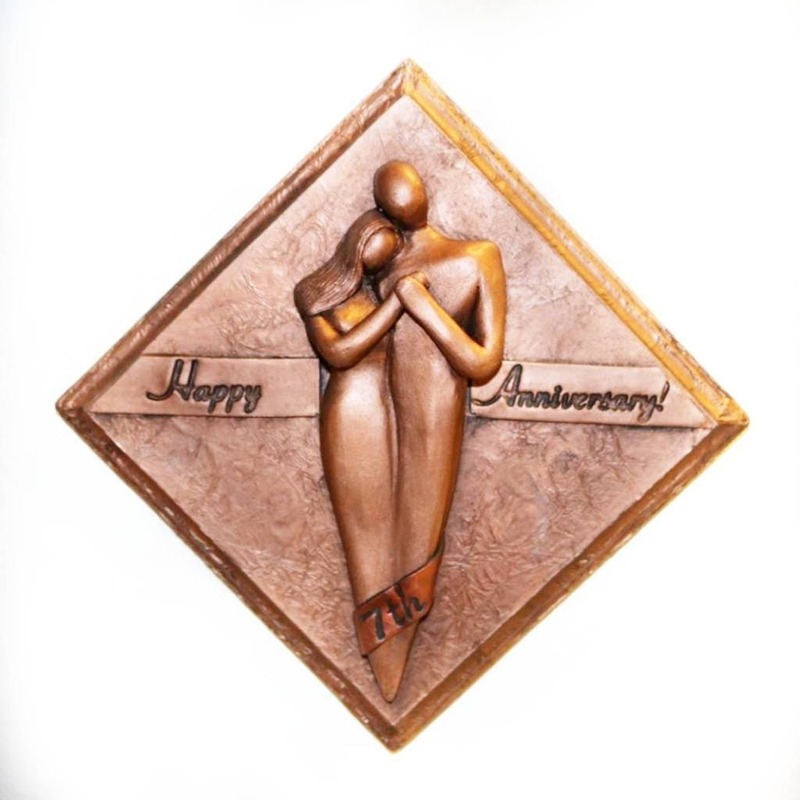 This Happy Anniversary Plaque is cold cast Copper and can come with or without the "7th" year banner. The plaque looks fantastic hanging on the wall or displayed on a desk (the easel is included). The 7th Anniversary Gift Plaque measures 7" on each side. The plaque is created using a cold -cast copper technique. "Cold-Casting" is a term used to describe the process of mixing metal powder with a resin to create castings that give the appearance of solid metal. The metal cold-cast process (also known as "bonded copper") is faster and much less expensive compared with foundry casting of molten metal (lost wax process.) Actual copper metal is used in the casting and the sculpture is finished with a copper metal coating. 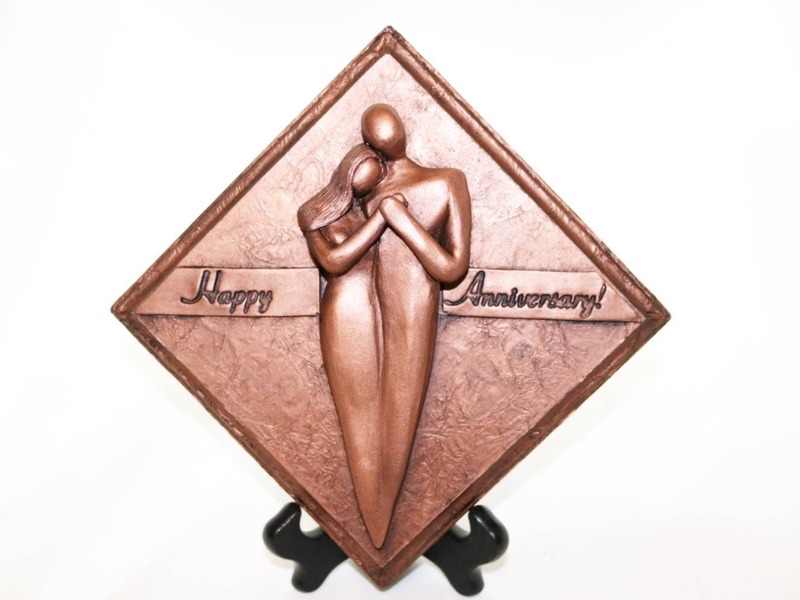 If you are interested in an anniversary gift that can be personalized to reflect your family, consider a Personalized Family Sculpture!